My very favourite place in the world is Italy. And some of my favourite things in the world are books and good food. So when I get a chance to mix all of that up, I’m a very content person! That’s why, when I went to Florence a few weeks ago, I was pleased to have found this fab blog about, as the name suggests, a girl living in Florence. 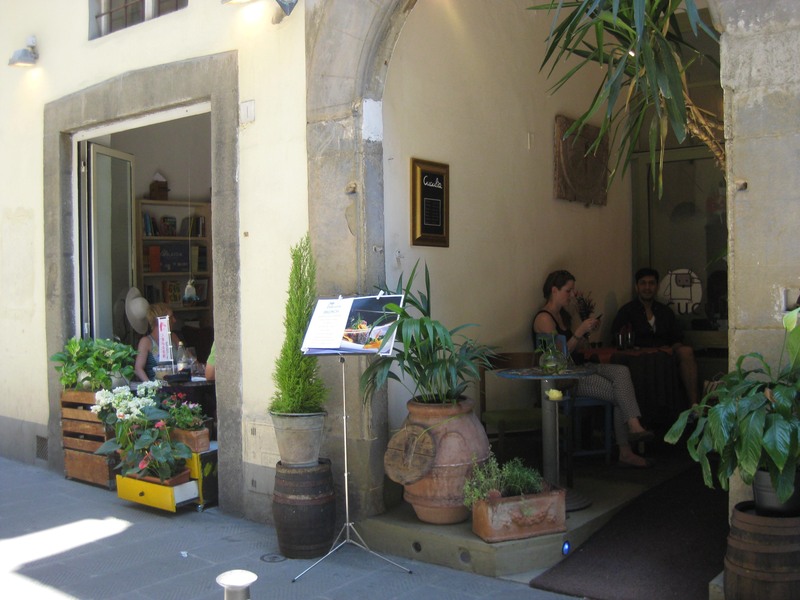 I’ve been following Georgette’s blog for quite a while now and remember being particularly excited about this post, which is all about library and bookshop cafés in Florence. Unfortunately I only got to visit one of the places recommended. It just means that I’ll have to go back sometime to visit the rest! From the outside, Cuculia looks lovely. The entrance is filled with plants of all different sizes, my favourite being the ones inside the yellow chest of drawers, which is an idea I love and hope to copy one day on my balcony! 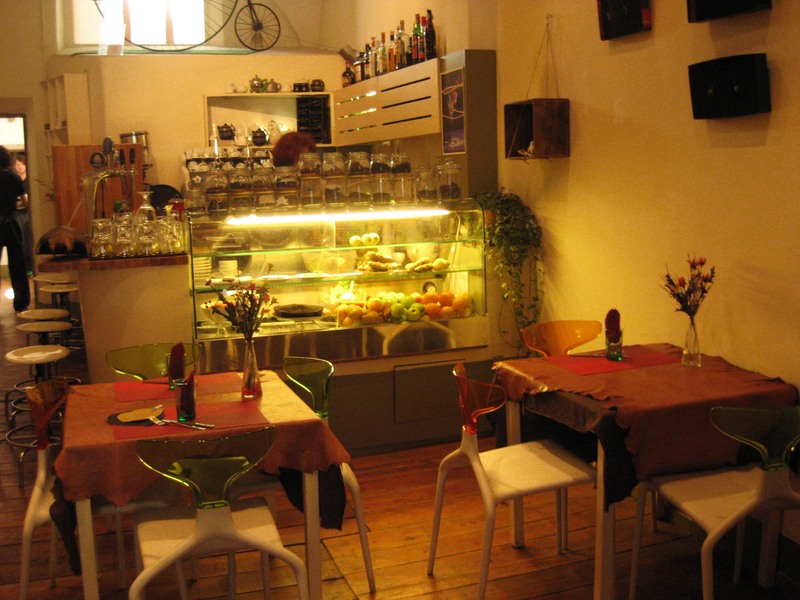 As well as being quite close to where my friend and I were staying on the Oltarno side of the river and away from all the crowds, we chose to visit Cuculia because it’s a vegetarian café and my friend is a vegetarian. The brunch menu sounded delicious and interesting, so we eagerly entered with high expectations. The inside certainly looked just as promising as the outside. Each table had a pretty vase of flowers to decorate. Artwork hanging from the walls, and placed in corners and on shelves gave a nice ambience. We were shown to a table by a very friendly waitress and told that it was €10 for brunch and you got a little bit of everything. The food came on a stylish plate, with small tastes of everything on offer. I’m afraid my friend and I tucked in straight away before taking a photo, so you can’t appreciate the way the food was arranged! Everything was delicious, but our favourite was the carote con cannella (carrot and cinnamon), it was simply beautiful and a great mix. We also enjoyed a cocktail glass of caffe shakerato (ice coffee), which was just what we needed on a hot day. Now I wouldn’t want to forget about the books! There was quite an eclectic mix. In the main room, there was an attractive display of hardback books on subjects such as art, photography and Italian history. Near the door, there was even a €1 euro set of shelves! I usually can’t resist a bargain, but due to Ryanair’s bag restriction, I could not possibly buy a book, as I had already had problems squashing everything into my bag on the journey there. 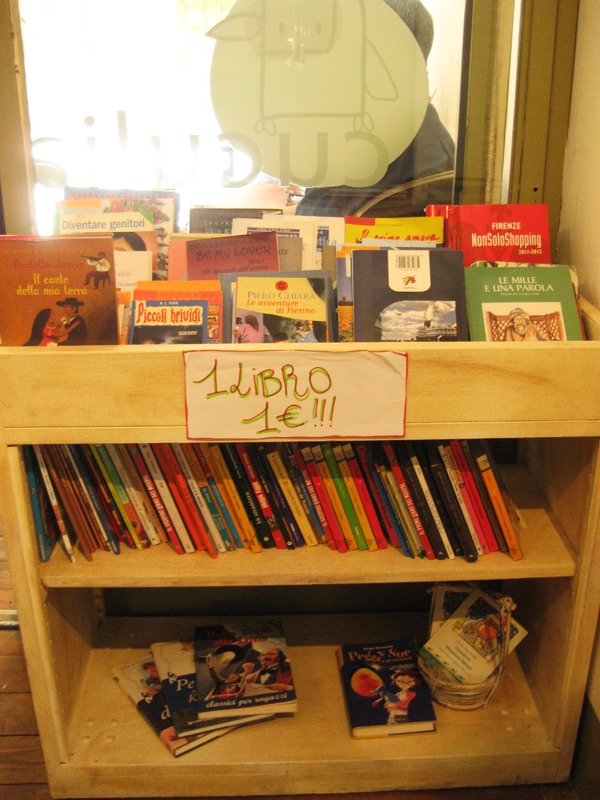 The books in the €1 section seemed to be mostly Italian children’s books, which isn’t a problem for me, as I would struggle to read anything more complicated in Italian! Just off the main room, was a nice and bright room with more seating and more books! We sat in this room, and whilst waiting for our brunch, I got up and investigated the shelves. 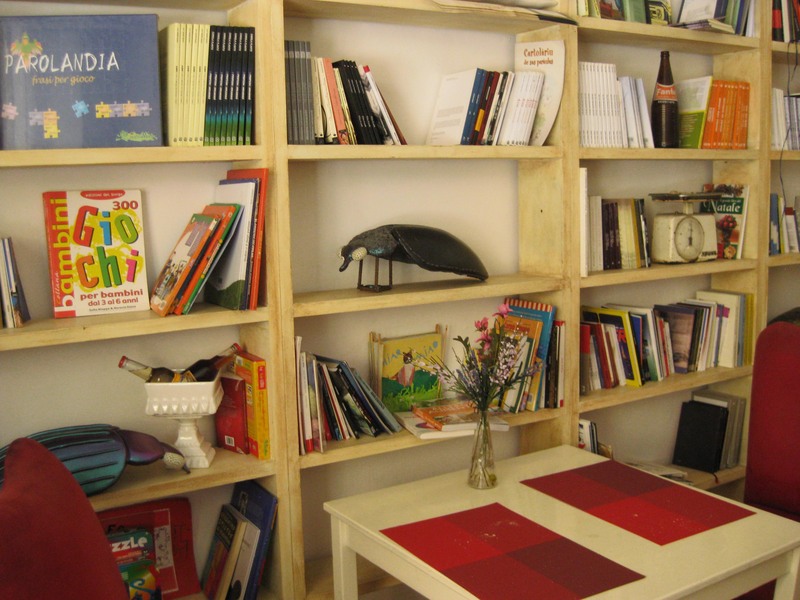 There were more children’s books, a few classics and some non-fiction. All of the books were in Italian, but I was still tempted to buy Robinson Crusoe, I love that book! So, feeling very satisfied indeed, (although I would have felt happier with a book in my bag!) we were both very pleased that we had taken to the time to find Cuculia. If you are planning a trip to Florence, why not try it out for yourself? 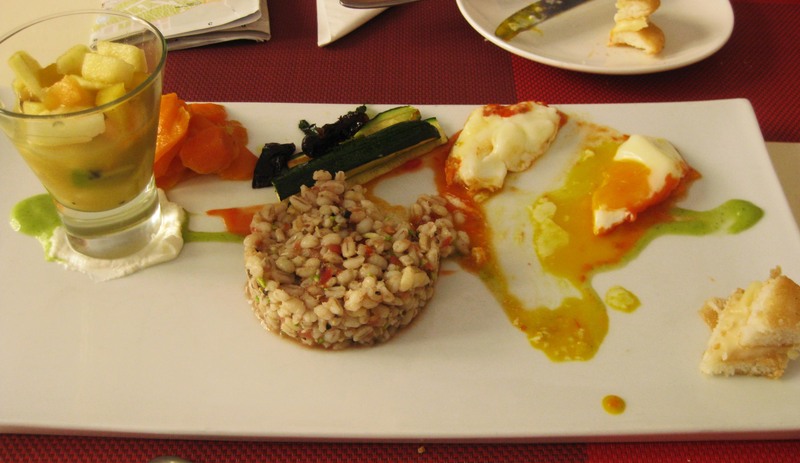 The address is: Via dei Serragli 3/R, Firenze (Tel: 0552776205 and Email: info@cuculia.it) You can also take a look at their Facebook page to see what they’re offering for Sunday brunch! And of course, if you want to make the most of your trip to Florence, I would highly recommend reading through the Girl in Florence blog! 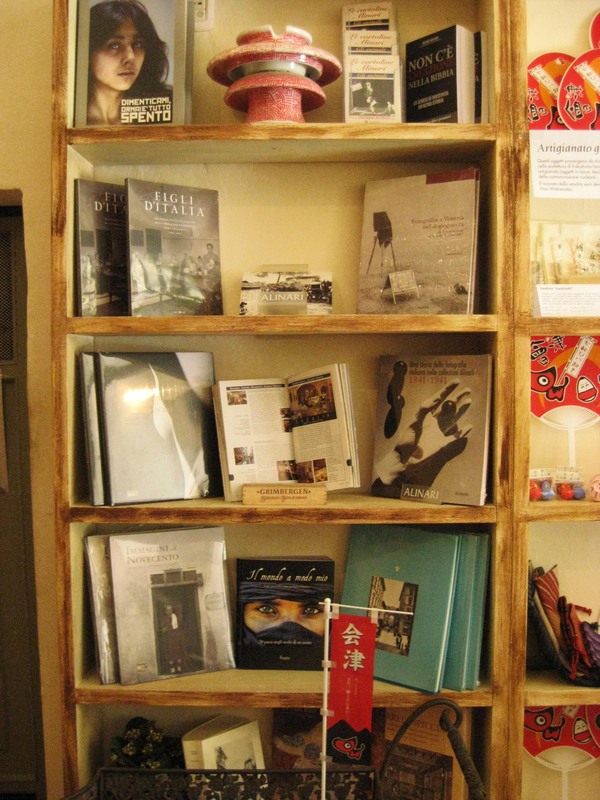 Books, Florence and coffee shops. What a perfect combination!